In 1964, Dorothy Cotton took a dozen African-American children to a public beach in St. Augustine, Fla., for a “wade-in” protest against the city’s whites-only swimming policy. Surrounded by angry white people yelling obscenities, the activist and educator held the hands of two children and calmly stepped into the sea. “As soon as we touched the water, they charged us,” said Cotton, a top member of Rev. Martin Luther King Jr.’s Southern Christian Leadership Conference (SCLC). 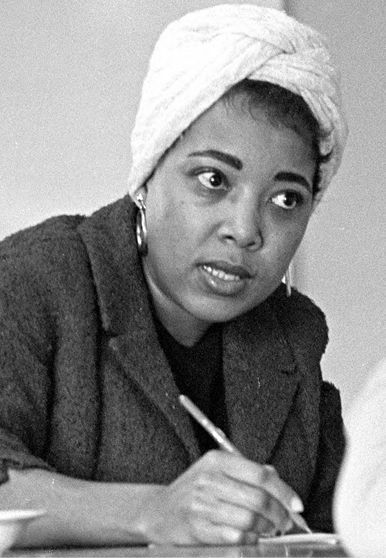 Cotton suffered permanent hearing problems after being struck on the head during the wade-in, part of a weeks-long anti-segregation protest she helped organize in St. Augustine. It was “45 straight nights of beatings and intimidation,” she said. Yet Cotton refused to be deterred, and over the next decade played a crucial—if often overlooked—role in the civil rights struggle.